Seattle: Take Uber to Tonight’s Posh Party! 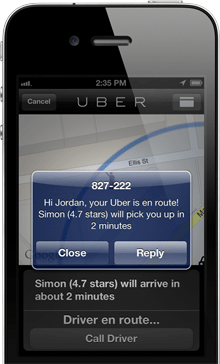 January 31, 2013 August 13, 2014 Categories Community, Eventsapp, emerald city, fashion, iphone, Live Posh Party, Posh Party, Seattle, shopping, uberLeave a Comment on Seattle: Take Uber to Tonight’s Posh Party! We’re so excited to share this awesome promotion that the folks at Uber Seattle extended to all of our Seattle Posh Party guests tonight! Forget parking or waiting for a cab tonight! Uber makes it super easy to get around Seattle with just the tap of an app. Uber fares are all-inclusive – no need to tip, and no exchange of cash or card is necessary. All you have to do is download the app and enter the promo code SEAPOSHMARK or sign up here for your 1st ride FREE up to $50! Already an Uber lover? Just enter the code SEAPOSHMARK50 before requesting and enjoy 50% off to and from the event. Free ride valid through 2/3/13. 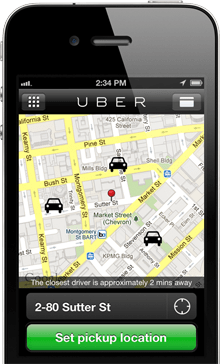 For more information: www.uber.com/seattle.